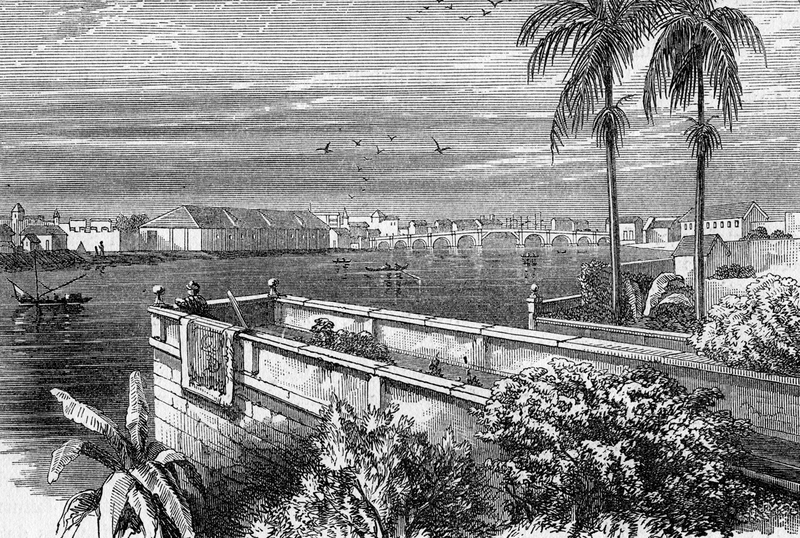 A drawing of Manila in the 19th century. Russia established its first “unofficial” diplomatic mission in Southeast Asia in 1817 when it opened a consulate in Manila. The Philippines was then a colony of Spain, which viewed Moscow with a great deal of suspicion. It took a good amount of diplomatic maneuvering before the consulate was given official recognition and allowed to function. Contrary to popular belief that Russia’s interest in Southeast Asia is a relatively new phenomenon, Moscow started looking east as early as the 18th century. In ‘Philippines-USSR Relations: A study in Foreign Policy Development,’ F. Landa Jocano writes that in 1722, Fyodor Semyonov, Governor of Siberia suggested to Emperor Peter the Great that Russia explore the Far East via India and the Philippines to establish trade links. It would however take almost another century before Russia made an attempt to establish a presence in the Philippines. This initiative was taken by Peter Dobell, an Irish-born American trader, who had a deep interest in China, Siberia and the Russian Far East. Dobell, an intrepid traveller was living in Canton, China in the early 19th century when he met Ivan Fyodorovich Kruzenshtern, a Russian admiral who led the first Russian circumnavigation of the globe. The Irishman developed a friendship with the explorer and managed to get access to the Russian Far East. Dobell lived in Kamchatka and Siberia, before moving to St. Petersburg, where he became a naturalized Russian citizen, Russianizing his name to Petr Vasilievich Dobell. Alexander I was eager to have a Russian presence in Southeast Asia and allowed Dobell to approach the Spanish colonial government in Manila as a Russian representative. Dobell’s misfortune was compounded by the fact that his property was vandalized and looted in Manila during general disturbances in the city. It took decades before the mission would gain official recognition and properly function in Manila. The consulate was run mostly by French “free lance” consuls who were entrusted with looking after Russian interests in the Philippines. The mission continued to operate in the city until the 1917 revolution. The mission in Manila helped slowly build trade ties and goodwill between Russia and the Philippines until its closure in 1917. Carlos adds that the goodwill that was established between Tsarist Russia and the Philippines was one of the main reasons that the latter accepted Russian refugees who fled China in 1948.